The Polanik ® Air Flyer Competition Javelin is a specifically designed javelin for the improving school, college, or club athlete providing performance, durability and distance. Manufactured from high quality aluminium alloy with a chromed steel sheath and roped grip. 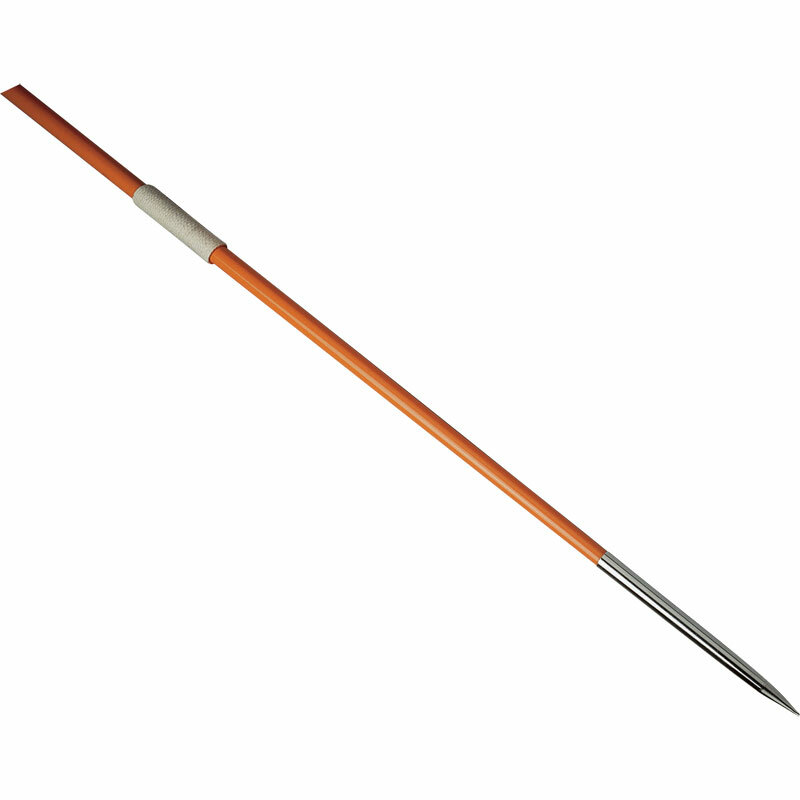 The Air Javelin is ideal for the ambitious intermediate. 400g length 1905mm D/R up to 30m. 500g length 2032mm D/R up to 30m. 600g length 2210mm D/R up to 30-40m. IAAF certified. 700g length 2310mm D/R up to 45m. IAAF certified. 800g length 2610mm D/R up to 50m. IAAF certified. Colour and Graphics may vary through weights.